Image: John Reddaway. Credit: Emmanuel College. John Reddaway, who has died aged 92, was a Cambridge engineer who introduced what became known as the “Reddaway plan”, a pioneering approach that brought engineering students face-to-face with the practical demands of manufacturing industry and which remains the inspiration for much teaching and training at the University today. John Reddaway pioneered manufacturing at Cambridge. He was the first undergraduate to be sponsored by Westland Aircraft and brought a thorough knowledge of engineering practice to his studies. After graduation he returned to industry before rejoining the Department of Engineering as a Demonstrator – the first rung on the faculty ladder. He worked closely with Professor John (later Lord) Baker during the exciting expansionary years after the war, serving with distinction in the key roles of Secretary of the Faculty Board and Deputy Head of Department, declining a second term when he became Bursar at Emmanuel. 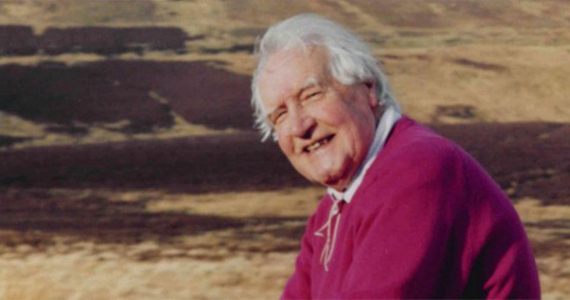 After Engineering, John served for ten years as Secretary to the Local Examination Syndicate (now Cambridge Assessment), retiring in 1993. It was a very successful period that saw a doubling of candidates taking the Cambridge exams around the world. He will be remembered particularly for the pioneering Reddaway Plan - the blueprint for the Advanced Course in Production Methods and Management (ACPMM). This innovative course engaged graduates with engineering practice through visits to companies, lectures from industrialists and demanding industrial projects. The Course continues to flourish under its current label of Industrial Systems, Manufacturing and Management (ISMM), drawing excellent students from the UK and overseas. The hands-on (now rather pretentiously called experiential) teaching of engineering graduates that Reddaway introduced is now recognised and implemented in leading universities internationally. John would have been delighted, while rejecting pretentiousness in all its forms! The ACPMM provided the firm foundations for the Manufacturing Engineering Tripos in 1979 and later the Institute for Manufacturing in 1998. John will be remembered for his genial and progressive approach and style - always open and friendly but purposeful and effective. He will be much missed but leaves major institutional legacies and memories of a warm and modest friend and colleague. This article was originally produced for the University of Cambridge Department of Engineering website.